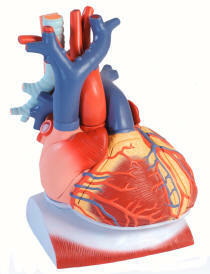 This highly detailed anatomical model of the human heart is three times life size. 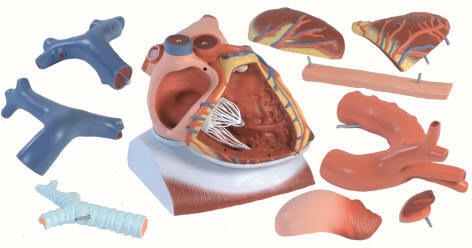 The following parts can be removed: esophagus, trachea, superior vena cava, aorta, pulmonary artery stem, both atrium walls and both ventricle walls. Comes with stand.